Starting on the Path, whatever Path you are starting, could be the most important part of any spiritual growth. It takes real courage and flexibility to try something new. You are off to a great start! Buddhism is all about being curious and open to learning new things. Often times we get asked, “As a newbie to Buddhism, where should I start?” Great question! The answer our Spiritual Director, Lama Jinpa would give you is “Slowly!” There is so much to learn and we all have busy lives. Lama Jinpa jokes that “Turtles win the race.” The most important thing is to start something. Try a Class – At Lion’s Roar we try to make Buddhism accessible to everyone. That is why we have a wide range of classes and meditation instructions. Everyone has different personal needs. To get started we encourage newbies to first try some of the meditation and yoga classes offered weekly as well as attend Lama Jinpa’s Sunday or Monday Dharma talks. These will allow you to get familiar with Buddhist principles and meet some of our Sangha (community) members. Click here for more on what to expect when attending services. Develop a Personal Meditation Practice – Whether this is 15 minutes a day or 15 minutes a week, what this looks like varies from person to person. The important step is creating time to sit with ourselves. Of course it’s easy to say. This is a life long practice and there are some great resources out there. Click here for an easy guide to meditating: Meditation Instructions. Read Some Interesting Books – See below for some recommended books for beginners. Also, look on our calendar for the next Buddhism From the Ground Up series. Over several weeks, the group reads and discusses different Buddhist topics and you can ask lots of questions. Well, not always but trust us…starting on the Path is worth it! Our hope is that you will learn about yourself and begin to develop more compassion and kindness for family, friends, co-workers and most importantly for yourself. When you start your investigation, you will see that compassion and kindness towards the world around us is really the only option. We hope to see you soon! There are so many books on buddhism out there, it can be very overwhelming. Plus, let’s admit it, some of the books can look so cool, it’s hard to resist taking them home. Before you dive in the highest Buddhist teachings keep this in mind: Lama Jinpa likes to say that it would be better if students didn’t read more then they meditate. Old Path White Clouds is a great book to learn about the life and teachings of Gautama Buddha, the historical Buddha. This book traces the Buddha’s life slowly and gently over the course of 80 years, partly through the eyes of Svasti, the buffalo boy, and partly through the eyes of the Buddha himself. Pema Chödrön is an American-born Tibetan nun and is known for her unique ability to transmit teachings and practices that bring peace, understanding, and compassion into our lives. This book explores in depth what she considers the essentials for a lifelong practice. This accessible book will guide you toward opening your heart, refraining from doing harm, and maintiaining mental tranquility as the Dalai Lama shows you how to overcome everyday obstacles, from feelings of anger and mistrust to jealousy, insecurity, and counterproductive thinking. Imbued with His Holiness’ vivacious spirit and sense of playfulness, How to Practice offers sage and practical insight into the human psyche and into the deepest aspirations that bind us all together. This book was used in our last Buddhism From the Ground Up series. Unlike other introductions to Tibetan Buddhism, this accessible, enjoyable work doesn’t stop with theory and history, but relates timeless spiritual principles to the pressing issues of modern life, both in terms of our daily experience and our uniquely Western world view. Pema reveals the traditional Buddhist teachings that guide her own life: those of The Way of the Bodhisattva (Bodhicharyavatara), a text written by the eighth-century sage Shantideva. This treasured Buddhist work is remarkably relevant for our times, describing the steps we can take to cultivate courage, caring, and joy—the keys to healing ourselves and our troubled world. Pema offers us a highly practical and engaging commentary on this essential text, explaining how its profound teachings can be applied to our daily lives. 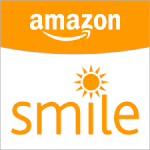 Did You Know: Amazon enables shoppers to easily donate to their favorite Nonprofits? You can click the icon to shop for books and support Lion’s Roar programs at the same time. Thank you for your support!